With plenty of moving services, Meathead Movers is fully prepared to make Orange your new home. Our clean-cut student athlete movers are dedicated to fulfilling all your moving needs efficiently. 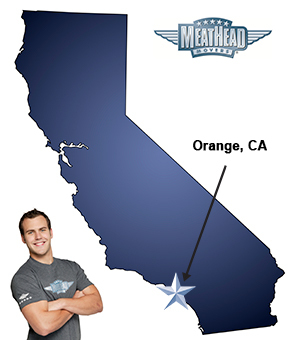 Welcome to Meathead Movers of Orange! The greater Los Angeles area isn’t generally known for its quaint, well-preserved buildings; however, the city of Orange is one notable exception. If you are relocating to L.A. and would like to enjoy the small-town charm of a city that’s filled with historic buildings, Orange may be right for you. Meathead Movers stands apart from all other Orange movers by offering exceptional concierge-level services and many other unbeatable perks. During the 1960s, many southern California communities demolished old buildings to make way for shiny new ones. The city of Orange bucked that trend and set about restoring theirs instead. The result is a historic district that includes more than 1,300 historic buildings, some of which date back to the 1870s. They are primarily situated around The Plaza, which is a rustic expanse of greenery that is located smack-dab in the middle of downtown Orange. Old Towne Orange, as the historic district is known, is studded with clothing stores, boutiques, cafes, and restaurants. There are also dozens of exceptional antique shops in this part of town as well. You’ll be able to start exploring this part of town more quickly when you hire Meathead Movers to assist you with your relocation. Our team of clean-cut student athletes will handle your belongings with exceptional care. You’ll quickly see why we’ve become the number-one independent moving company in the entire state of California. In addition to featuring a quaint downtown and picturesque buildings, Orange has plenty of great modern amenities including a small zoo that’s sure to thrill the kids. With a population of more than 130,000, Orange has everything you need to lead a comfortable life. Orange is located just three miles north of Santa Ana and Anaheim is a very short drive away. Downtown Los Angeles is within easy driving distance as well. You don’t have to leave town to enjoy exceptional shopping though. The Block, which is a huge outdoor shopping complex, features stores, an indoor skate park and a massive movie megaplex. Life is good in Orange, and getting settled in here is a lot easier when you have Meathead Movers on your side. Our talented team of Orange movers can connect you with everything from landscapers to hauling companies. We hire only respectable student athletes so you can rest assured knowing that your possessions are in the best hands. We are experienced in executing both local, long-distance, and commercial moves and are happy to help you with all your moving needs. We also provide reliable packing, storage, on-site relocations, and our distinctive moving concierge service. Give us a call today to schedule a free, no-obligation estimate or to book your move to Orange. With our 100% satisfaction guarantee, the only thing you have to lose is the stress that comes from moving! Moving to Orange? Here are some helpful resources. Excellent service from the initial consultation to the unloading of my items. Understanding and courteous employees throughout the entire process. I was disappointed on our second day of moving. One helper was allergic to cats and sat in the truck for hours waiting to be picked up. I believe I had to pay for him just sitting there. His replacement was more into talking about the girls in Whittier than packing or loading my stuff up properly. I’m pretty sure my refrigerator is completely ruined on the outside from them not knowing how to get it out of my house properly. I could see what damage was done because other items were packed on before I realized this. I told them on several occasions to ask my husband how to do it but the didn’t. Both Jaime and Chris were great. They worked hard and helped us out more than we could have imagined. THANK YOU!